The record of JINMO's genuine Ate (impulse for the art) in unaccompanied guitar playing. JINMO says "imago animi sonitus est". (4 BC - AD 65) words "Imago animi sermo est (Speech is the mirror of the mind)." This is the delicate and wild studio live documentary album. Every notes are recorded in monaural. There are no over-dub, no editing. The motions of the fingers are recorded to bare fact. blesses the listener's brain and genitalia. which are the direct descendant of the album "Eros", "bare AxeM", "bare AxeS" etc. There are no traditional guitar languages. 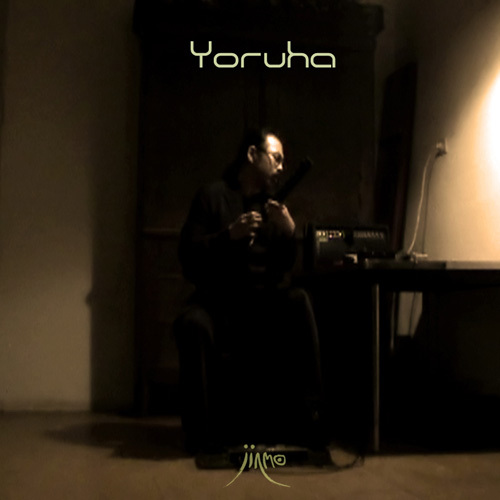 The album "Yoruha" is the non-idiomatic improvisation soulscape.